A Montgomery County man has been found guilty in a fatal church shooting. 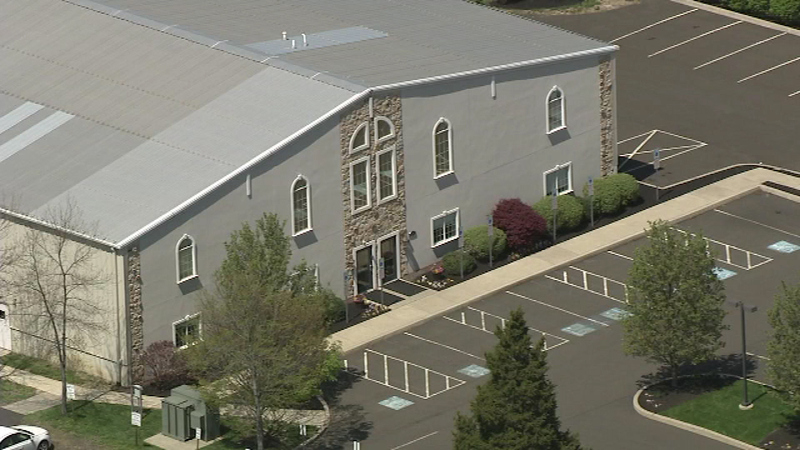 MONTGOMERYVILLE, Pa. (WPVI) -- A Montgomery County man has been found guilty in a fatal church shooting. A jury on Thursday found Mark Storms, 46, of Lansdale, guilty of Voluntary Manslaughter and Reckless Endangerment. 27-year-old Robert Braxton III was shot and killed during church services at Keystone Fellowship Church in Montgomeryville on April 24th. Witnesses told police Braxton was verbally disruptive and agitated at church that morning. In court, a church member testified that he saw Storms come over and ask Braxton to step outside with him. When Braxton told him to leave him alone, the witness said Storms pulled out a gun and Braxton punched Storms in the jaw. Then, the witness testified, Braxton started to leave and the two men came face to face, and that's when Storms fired two fatal shots.